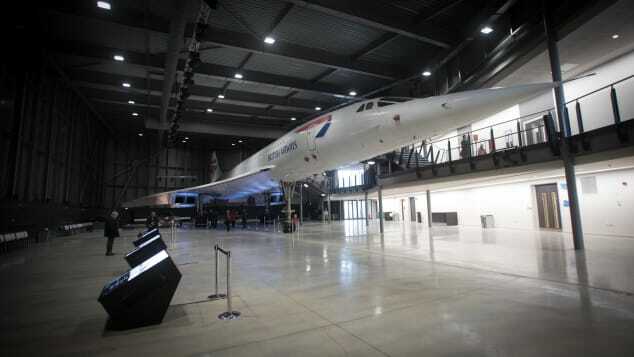 Home News What it was really like to fly on Concorde? Earlier this year, a Norwegian Air Boeing 787 Dreamliner hitched a ride on a powerful jet stream and flew from New York to London in a record-setting five hours and 13 minutes, landing almost an hour ahead of schedule. Record-setting, perhaps, but for a subsonic airliner. In 1976 — over 40 years ago — elite passengers were crossing the Atlantic in under three and a half hours, flying at twice the speed of sound in the Anglo-French Concorde. Only 20 of the sleek, delta-winged SSTs were built, and just 14 were delivered to two airlines — seven each to Air France and British Airways. Concorde’s last commercial flight departed 15 years ago, on October 24, 2003. But what was it really like to rub shoulders with the rich and famous on a Concorde flight? CNN Travel asked some former passengers what it was like to fly on one. Space was tight in the world’s fastest commercial passenger plane. “The flight attendants loved being on it; the passengers loved being on it,” says CNN’s Richard Quest, who flew Concorde five times. “You were aware of being part of a very small group of people that were privileged enough to be on Concorde. 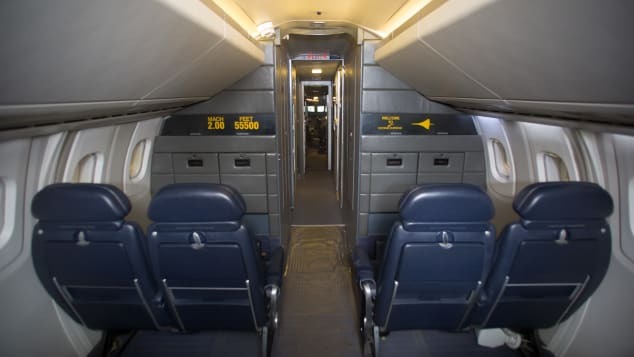 With an interior fuselage width of about eight and a half feet (2.63 meters), Concorde’s cabin was just wider than that of today’s Bombardier Regional Jet. The SST had a single aisle, with a two-two seating configuration. “The actual layout of the plane was in two sections. There was a front section, then a middle lavatory, and then a rear section,” explains Quest. While Concorde had its regulars, including international businessman Fred Finn — who flew a record-setting 718 times — any number of novice passengers could be on board for their one-and-only supersonic experience. In the Concorde lounge at JFK, where the “Air France staff oozed élan,” Marshall chatted with an elegant French woman, and admitted that it was her first flight on the SST. “She was a Concorde regular, and whispered candidly to me, ‘You better go to the washroom now. It is impossible to pee once in the air. Too small,'” said Su. “For a girl used to flying steerage, once through the doors of the sleek, tiny, cigar tube into the body of Concorde, I knew I had entered into the rarified air of gods and kings. But dang, things were small and cramped. Leather, polish and flutes of never-ending Champagne, but really squished. “But hey, three and a half hours to Paris? I sucked it up,” chuckles Marshall. 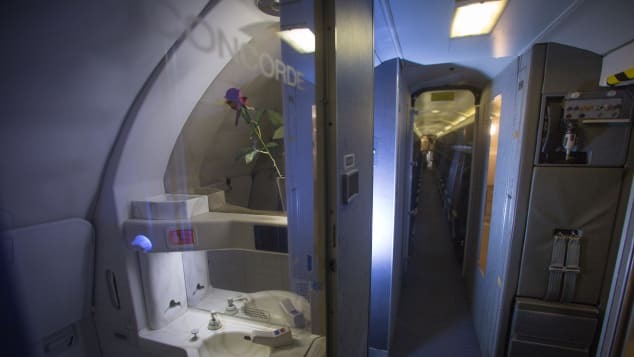 In the 1980s, Richard Ford was on the team at Landor Associates charged with updating Concorde’s interior for British Airways. “As a part of the detailed technical work it was important to learn more about the flying experience. I was privileged to be offered the chance to make a return flight to New York from London in one day!” says Ford. “Despite its small size it felt more like an executive jet than a commercial airliner, with thrilling performance,” he adds. “I felt more strongly that I had entered a private club. It was a brief glimpse into a life I had not known, polite, considerate, and beautifully detailed. It was impossible to not feel spoiled, and valued,” says Ford. Concorde was the first — and still only — passenger aircraft that had turbojet engines with afterburners. Concorde was developed at a time when the aviation industry was focused on supersonic airline travel. In the early 1960s, aeronautical engineers didn’t have today’s design and analysis tools. But Concorde’s designers came up with a remarkably advanced and unique aircraft. Concorde was the first — and still only — passenger aircraft that had turbojet engines with afterburners. Called “reheat” by the British, raw fuel was introduced into the exhaust of the plane’s four engines, immediately increasing the engines’ thrust by almost 20%. 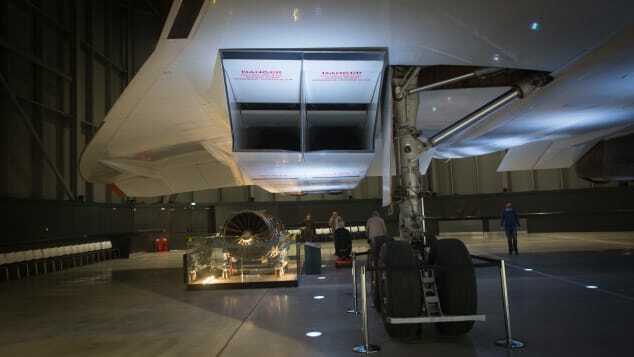 “Concorde was vastly different from subsonic aircraft at the time. It had no flaps or slats (high-lift devices on the wing) and always used full power with reheat for takeoff,” explains former British Airways Concorde captain John Tye. Reheat was also used to push the plane from subsonic to supersonic speeds. Cruising at Mach 2 — or 1,350 mph — at 60,000 feet, Concorde flew five miles above and 800 mph faster than the subsonic 747s plodding across the Atlantic. 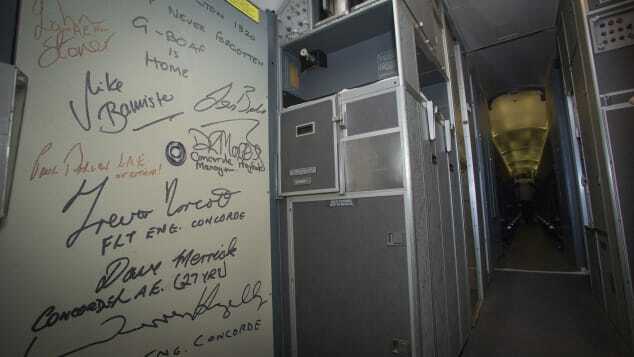 Passengers and crew on Concorde’s final flight left their mark on the airplane. By 1976, social pressure over concerns with the plane’s noise and sonic boom led to the cancellation of virtually all orders for Concorde, leaving British Airways and Air France as the only airlines to fly the SST. The plane suffered its only accident in July 2000 when an Air France Concorde crashed just after takeoff from Paris, killing all 109 people on board and four on the ground. Concorde returned to service in November 2001, but age, and increasing operating and overhaul costs, caught up with the planes after almost 30 years in the air. Richard Quest flew on the final, celebrity-studded British Airways Concorde flight in October 2003.